Why See Our Dear Dead Druglord? After a critically acclaimed workshop production in Boston in the summer of 2018, rising star theatremaker and playwright Alexis Scheer's tour-de-force comedy makes its hotly anticipated world premiere during Second Stage's 2019/20 season. 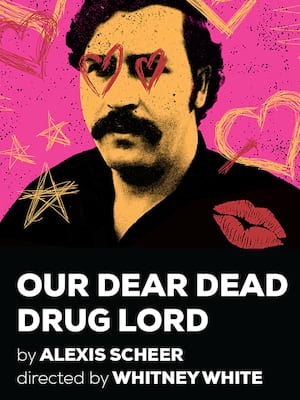 Hailed as an exciting mix between Mean Girls and Narcos, the wickedly funny coming of age tale 'Our Dear Dead Druglord' explores contemporary girlhood, societal expectations and the female bond with startling results. 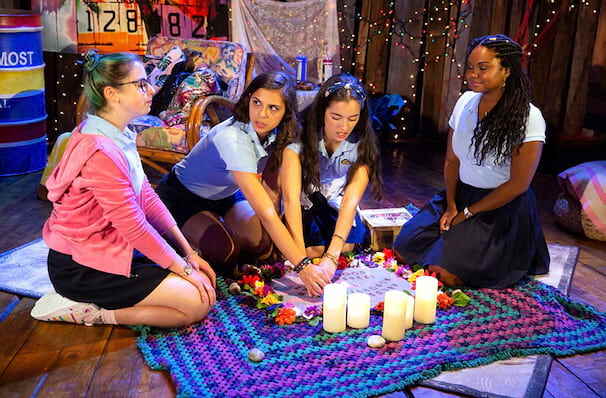 The remarkable story follows a group of teenage girlfriends, who do many normal teenage things - falling in love, experimentation with drugs... And perhaps a few not so normal things, like practicing witchcraft and attempting to commune with the spirit of infamous drug lord Pablo Escobar. Lead by a butch queer Latina, the Dead Leaders Club grapples with the aftermath of the 2008 presidential election as they discover who they are. This girl gang has teeth! Seen Our Dear Dead Druglord? Loved it? Hated it? Sound good to you? Share this page on social media and let your friends know about Our Dear Dead Druglord at Second Stage Theatre Uptown - McGinn/Cazale Theatre. Please note: The term Second Stage Theatre Uptown - McGinn/Cazale Theatre and/or Our Dear Dead Druglord as well as all associated graphics, logos, and/or other trademarks, tradenames or copyrights are the property of the Second Stage Theatre Uptown - McGinn/Cazale Theatre and/or Our Dear Dead Druglord and are used herein for factual descriptive purposes only. We are in no way associated with or authorized by the Second Stage Theatre Uptown - McGinn/Cazale Theatre and/or Our Dear Dead Druglord and neither that entity nor any of its affiliates have licensed or endorsed us to sell tickets, goods and or services in conjunction with their events.